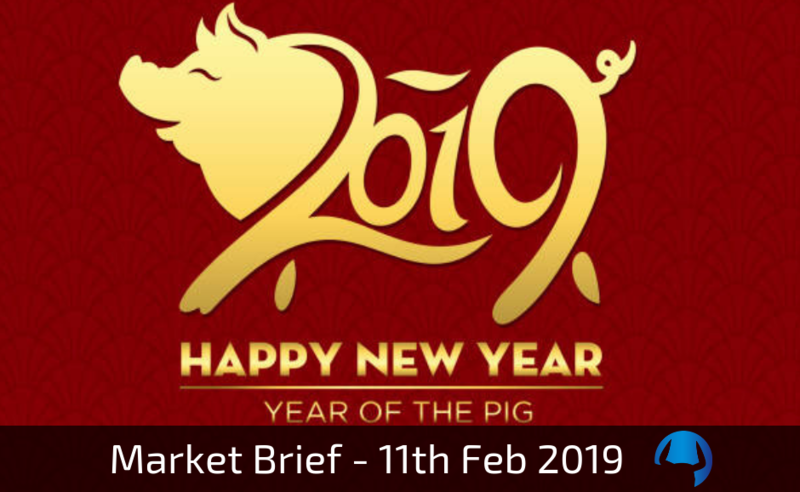 This market brief is an overview of the week ahead and some of the events we see as being important to the markets. Please be aware that our views may change throughout the course of the week, and we do not publish updates of such changes. We may take multiple trades throughout the week. We discuss this in our LIVE CHAT ROOM. Our In-house Intermediate Workshops are now in high demand. Enquire now to avoid long delays. The ASX was very strong last week and the question now is can it get through 6070? For a continued move higher we must now see the ASX close above 6070 followed by a push into 6140. Should this occur we will look for a move into 6206, and if momentum to the upside remains strong we cannot rule out a move to 6276. If the ASX cannot close above 6070, we will look for a move back down to 6040 before a pause. A strong break and close below this level however could see the ASX retest 5985, and if downside momentum is very strong we could see a move down to 5921. The DAX continues to lag having come into key technical resistance. We will be discussing this in the LIVE CHAT ROOM this week. For a continued move to the upside we must see the DAX close strongly above the 11050. Should this occur and if the DAX can hold above this level, we will look for a retest of the important 11366 level. If the DAX fails to hold above 10863, we will look for a move back down to 10601 before a potential pause. If this market continues to sell-off, a very strong move down into 10382 cannot be ruled out. After a sideways week which saw the S&P open strongly and sell-off mid-week, this market is back to where it started. For a move higher, we would like to see the S&P hold above 2676. Should this occur we will look for a retest of the key 2738 level. A strong break and close above this level could see a move higher into 2760, and if momentum remains strong to the upside we cannot rule out a move to 2808. If we cannot hold above 2676, we could see this market continue to sell-off into 2660. A strong break through this level however could quickly see a move down to 2638 before a pause. If momentum to the downside is strong we may see a further move lower into 2590; and a close below this level may result in a sharp move down to 2540. Following a sell-off post the RBA announcement, the AUD is back down in support territory and this is now a big test here. We will be discussing this in the MEMBER PORTAL this week. For a move higher, we would first like to see the AUD close above 0.7113. Should this occur we will look for a move into 0.7197, and if upside momentum remains strong we will look for 0.7229 – 0.7236 before a pause. If the AUD cannot close above 0.7113, we will look for a move lower into 0.7014. A break and close below this level however could see a sharp decline into 0.6997. Any further breaks to the downside could then see the AUD quickly trade at 0.6958 and 0.6934; and if momentum to the downside remains strong we cannot rule out a move into 0.6830. No news is good news right? Wrong. The Euro remains in this large sideways range as the bears took complete control of this market everyday last week. We will be discussing this market in detail in the LIVE CHAT ROOM this week. For a move higher we would like to see the EURO close and hold above 1.1335 early in the week. Should this occur we could see a strong move into 1.1453 and any breaks above this level may mean a quick move into 1.1496 before a pause. A strong close above this level however could see the EURO rally strong into 1.1613 by the week’s end. If the EURO cannot close above 1.1335, we could see a fast move down into 1.1249 before a pause. A strong break of this level may result in a move into 1.1201, however any weakness below this level could see a sharp drop into 1.1117 before the week’s end. Like the Euro, the Pound was also sold off last week but managed to bounce off our key 1.2868 level. This is an important level to watch this week! For a continued move to the upside, we would like to see Cable close above 1.3035, followed by a retest of 1.3161 before a pause. Should this occur we will look for a move to 1.3191 and 1.3277; and if momentum is very strong we could see a re-test of last week’s highs into 1.3386. On the downside, should we break and close strongly below 1.2868, we could see this market break quickly lower into 1.2720. A strong break below this level however sets this market up for a bigger move down into 1.2622. Once again the $/YEN has remained in a tight range and testing 109.94. Can we finally break through this week? We will be discussing this in the MEMBER PORTAL this week. For a move to the upside we must now see this market close strongly through 109.94. Should this occur we could see a strong move into 111.09. A strong break and close above this level could then see the $/YEN rally into 111.73, and if momentum is extremely strong to the upside 112.68 cannot be ruled out. If we cannot close above 109.94, we will look for another quick retest of 109.21. A break below this level however may result in a fast move down to 108.31, and if the downside remains very strong we cannot rule out a sell-off into 107.75. Gold too has been respecting our levels and a bounce of 1303 sees this market poised for continued upside should this level hold. For a continued move higher we must now see this market hold above 1303, for a retest of 1322. Should this occur we will look for a move higher into 1333; and if momentum remains very strong, we could see a big push into 1350. If Gold cannot hold above 1303, we will look for a move back down into 1298 and 1294 before a pause. A strong break and close below this level however could send this market sharply lower back down to the big 1276 – 1278 area. A detailed version of this market brief complete with additional analysis is available to existing Clients. If you are an existing client please Log In. If you are not a member, sign up to our member portal now for only $69.95! The views represented on this website do not contain (and should not be construed as containing) financial advice, recommendations, opinions in relation to acquiring, holding or disposing of a financial product of any kind, or a record of our trading prices, or an offer of, or solicitation for, a transaction in any financial instrument. Trade View Investments accepts no responsibility for any use that may be made of these comments and for any consequences that result. No representation or warranty is given as to the accuracy or completeness of the above information. Consequently any person acting on it does so entirely at his or her own risk. The research does not have regard to the specific investment objectives, financial situation and needs of any specific person who may receive it. It has not been prepared in accordance with legal requirements designed to promote the independence of investment research and as such is considered to be a marketing communication. TRADE VIEW MAY CHANGE THE VIEW PRESENTED AT ANY TIME AND WILL NOT PUBLISH ANY UPDATE TO THAT EFFECT. This communication must not be reproduced or further distributed.